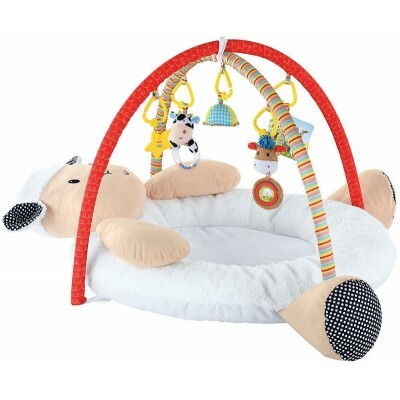 Blossom Farm Playmat is a soft, comfortable and luxurious playmat with two arches and five different detachable toys for your baby to watch and touch. The playmat can be used without arches as your little one gets older. 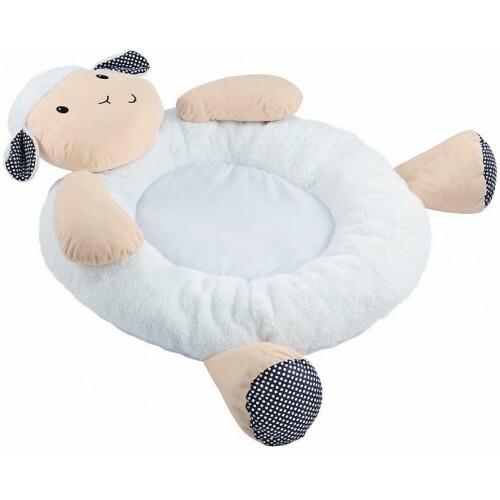 The Blossom Farm Lamb playmat is the perfect place for baby to snuggle up and relax in. The playmat includes 5 detachable toys; a pony rattle, a picture book, a cow with plastic shaped teethers, a dome shaped mirror and a star shaped teether.